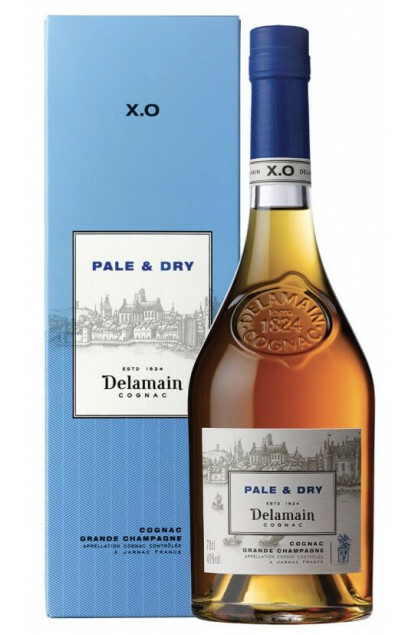 The Pale & Dry XO is a blend produced exclusively from the Grande Champagne Area, first growth of Cognac and aged for many years. Light amber robes, extremely bright, clear and shot through with flashes of gold. Remarkably delicate elegance and distinction. A blend aged for years, exclusively originating from Grande Champagne, classified Cognac Premier cru. Pale & Dry XO is elegant, pure, of an extreme delicacy. It offers a light, bright and clear amber colour, with golden hues.